At the beginning of breeding of the California Spangled originated from the visit of a writer-director Paul Casey to Africa in 1971, where stray cats began to decrease in number. On his return he was to the U.S., he decided to make the kind of domestic cats with wild looks in the hope that people will not want to wear fur that resembles their own pets. Paul Casey finally produce the kind of cat as desired. In 1986, he has managed to produce a cat with an exotic appearance. 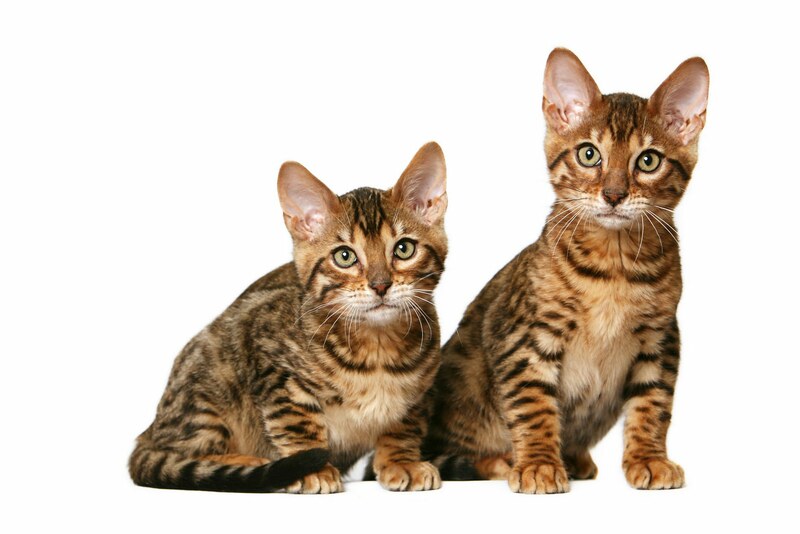 They are registered with The International Cat Association (Tica) and can be outcrossed with long-term domestic or shorthairs, Abyssinian, and American and British Shorthairs. 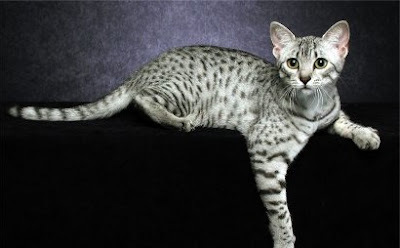 California Spangled Cat is a crossbreed of many strains of cat, including Abyssinian, American Shorthair and British Shorthair. Despite their wild appearance, they are completely domestic. California Spangled cat looks like a wild cat. California Spangled cat looks like a small leopard. He's have a body length, slim, yet muscular. 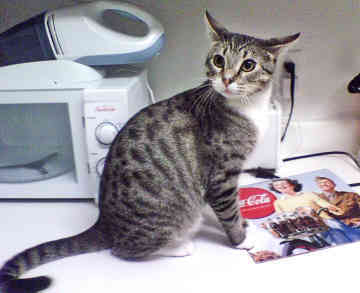 California Spangled cat has a golden coat color, blue, brown, charcoal, red, black, silver, and white. The spots are well defined, dark contrast to the coat color. Round spots spotted fur. California Spangled males weigh between 12-15pounds and to California Spangled female 8-10pounds. California Spangled cat is a cat who has a curious nature and social. California Spangled cats love to play with humans and energetic. ak is more than interactive play with their human friends.California Spangled Cat is a cat is loyal, has a curious race and enjoy being around their owners. California Spangled cat friendly and affectionate. This cat is perfect for anyone and everyone. California Spangled Cats made ​​suitable for pets.